Reports have been few and far between since the windy weather and low water that Hurricane Irma sent our way, but it shouldn’t have much effect on the redfish and speckled trout fishing. There’s plenty of Spanish mackerel around right now, both in Pensacola Bay and out along the beaches in the Gulf. As usual you can troll or chase them schooling on the surface with jigs and spoons. 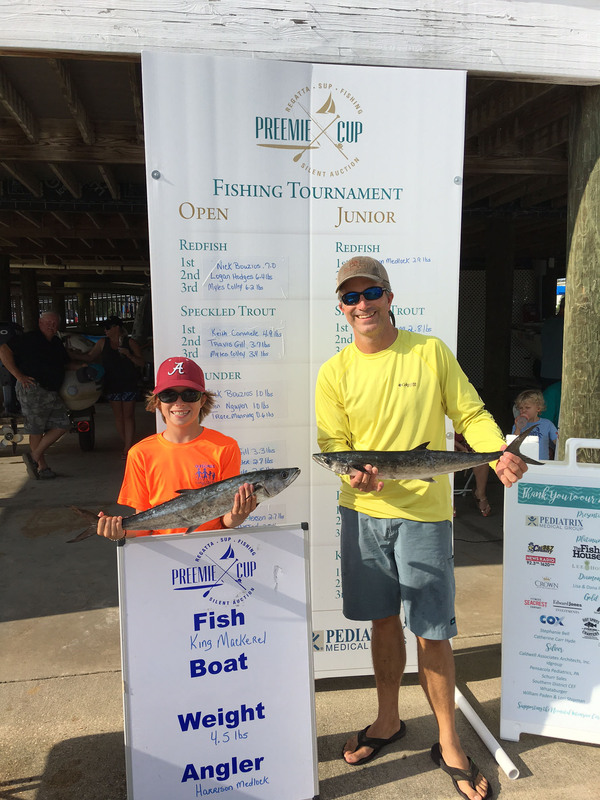 Last year they started showing up in mid-September, so anytime now you can start looking for king mackerel in Pensacola Bay. It’s hard to say how the bite will be this year due to all of the activity taking place with the new bridge being built. Red snapper, triggerfish, and amberjack are all closed right now in both Florida state and federal waters in the Gulf of Mexico. If you’re looking for bottom dwellers you can keep you’ll want to target vermillion snapper, scamp, gag grouper, and mangrove snapper. The weather is going to be nice this weekend, so if you don’t have plans you might want to make a trip to the deep-water rigs for tuna or go down to the Spur in search of tuna, wahoo, dolphin, and billfish. Now’s a great time to fish Bob Sikes Bridge if you’re interested in catching some Spanish mackerel. They can be caught using Gotcha Lures, but you’ll increase your chances by buying some live shrimp or catching alewives. The Pensacola Beach Gulf Fishing Pier and Navarre Beach Fishing Pier are another good option this time of year if you’re land locked and looking for some action. King mackerel, Spanish mackerel, ladyfish, bluefish, hardtail, and redfish are all possible catches. Several sources reported that there hasn’t been a whole lot of bass and bream fishing happening over the past week, but a lot of anglers have high hopes that we’ll have a good fall bite considering the conditions are improving on the local rivers.